Submitted below is a full manuscript of a sermon delivered in the chapel service at Concordia Seminary on April 30, 2010, three days after the spring assignment service (“Call Day”). The reader has permission to utilize any useful aspects of this manuscript in crafting his own sermon based on this text. 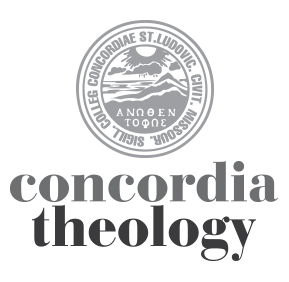 This manuscript reflects the conditions at Concordia Seminary following Call Day, and so the reader will need to make adaptations to his setting of ministry. Here we are three days after the day—not the Day of Yahweh, but close—Call Day! On that day the assignments of calls to our seminary candidates were announced. Graduating seminarians discovered where they will begin their pastoral and deaconal ministries—in urban settings and rural settings, out on the open plains and in the mountain foothills, at small congregations and in megachurches. The variety of places of ministry and types of congregations to which they are sent is dazzling! In the account recorded in our text for today, Paul could have been asking the same question: “Is this where God wants me to be?” He certainly ended up at a place that he originally wasn’t planning to be. Paul and his companions, Silas and Timothy, are traveling in what is now Turkey. Their intention, according to Acts (15:36, 16:1), is to go to the churches which Paul had planted in a previous journey, check on them, strengthen them, and share with them the decision of the Jerusalem council. Paul revisits the churches in Derbe and Lystra which he had planted (16:1), but then God redirects his plans. Acts 16:6–7 read: “And they went through the region of Phrygia and Galatia, having been forbidden by the Holy Spirit to speak the word in Asia. And when they had come up to Mysia, they attempted to go into Bithynia, but the Spirit of Jesus did not allow them.” We don’t know how the Spirit restrained them—whether it was through a vision or prophetic voice, or simply by circumstantial barriers. The point is that where God sent them is not where they expected to go; what God called them to do was not what they had planned. Apparently they had expected to go to Asia and Bithynia, but the Holy Spirit said no. What they wanted was overridden by what God wanted. And so the Spirit sent them to a place which they had never expected to go—to Macedonia, to a whole new continent, to Europe! We also often have our plans of what we think should happen to us. We have our designs on where we should go and where we should live. That includes our first assignment in ministry. One of my roles here at the seminary is to assist with the placement process. I interview candidates and their wives about where they would like to be placed and what areas of ministry they would like to specialize in. Usually the couples that I interview are quite specific about their preferred location and type of ministry. It’s okay to have preferences and to communicate them. A problem arises, however, when people expect to have all their preferences met! This is because, although we have plans about where we will go to carry out ministry, life frequently does not go as we plan. Someone has observed: “Life is what happens while making other plans.” God’s plan and his designs upon our lives are often not what we want or hope for. Another sage has said: “Man proposes, but God disposes.” What we propose to be our path in life may not be what God disposes to happen. So what do we do when God takes us along another pathway upon which we had not planned to travel? Often we become resentful and bitter. We think: “How could this have happened? How could my hopes be so shattered?” We even become angry with and resentful of God. We resent that he hasn’t given us our heart’s desire, especially since we’ve given ourselves to do his ministry. Doesn’t the dedication of our lives to his service earn us some right to have our preferences met? Shouldn’t God comply with my design for my life? We begrudge God when he fails to give us the assignment we had hoped for. But God is not our celestial social secretary, arranging the circumstances of our lives as we direct him. We can’t just dictate to him our future and expect him to comply. To do so is nothing less than idolatry! To do so is nothing less than exalting ourselves over the true God! To do so is to insist upon God: “Not thy will, but mine be done!” Such presumption by us deserves only judgment from God. “Man proposes, but God disposes.” God disposes his will upon us even when it conflicts with our will. But the good news is that God’s will, as Luther affirms, is “good and gracious” (Explanation to the Third Petition of the Lord’s Prayer). God disposes upon us his goodness. God disposes upon us his grace! That grace comes, first of all, as forgiveness to those who repent of their sinful idolatry. That grace comes to us because of the one who in the garden prayed, “Thy will, O God, not mine, be done.” That grace comes to us because of the Servant of the Lord who submitted to the will of the Lord to crush him. Indeed, he was crushed by the weight of the judgment upon our rebellious idolatry. He went to the place where we should go—to hell itself. Talk about an unpreferred assignment! But there Christ also declared his victory over sin, a victory which he now shares with us in this Eastertide and forevermore! Yet God disposes his grace upon us in another way. That is by blessing us wherever he sends us, even if it is to where we don’t wish to go. That’s what happened to Paul and his companions as described in Acts 16. God closed doors in Asia and opened a door into Europe. Paul crossed the Hellespont and went to Philippi in Macedonia. There the Holy Spirit used Paul as a messenger to bring the Gospel to people who had never heard it before. First Lydia was converted, then her household, then a jailer in Philippi. And then, over centuries, much of the continent of Europe was converted! And from Europe the Gospel mission spread throughout the world. It all happened because Paul went not to where he wanted to go, but to where God sent him. As Campbell Morgan observes: “That invasion of Europe was not in the mind of Paul, but it was evidently in the mind of the Spirit.” [Quoted in John Stott, The Spirit, the Church, and the World: The Message of Acts, 1990, p. 258]. God disposes his grace to bless us where he sends us, and also to use us to bring his blessing to others. Throughout the history of missions, God has been redirecting the paths of his people, sending them where they had not planned to go, and using them greatly in these unintended places. For example, Carey sought to go to Polynesia to bring the Gospel message, but God redirected his path to India. Livingstone intended to do mission work in China, but God redirected him to Africa. Judson planned to carry out ministry in India, but God brought him to Burma instead [from Stott, p. 261]. In each of these cases, God used these men to carry out his will in powerful ways, bringing the life-giving Gospel to myriads of people. But this happened in places and among people these men initially did not expect to visit or intend to live among. And so it is with you today. You may have hoped to be placed in North Dallas, but God has sent you to North Dakota instead. This is where God wants you to be! You expected to be placed near your wife’s family, but instead you have been assigned to serve God’s family hundreds of miles away. This is where God is sending you! You planned to minister in a prosperous suburban context, but your call is to an economically challenged urban area. This is God’s will for you! Nevertheless, remember that it is God’s good and gracious will for you. For wherever he is sending you his grace will sustain you. And wherever he sends you, his grace will be delivered through you. You will be the conduit of his grace to them.